Flydubai promotion code 2019 - 10% discount all flights! Return flights from Germany to Taipei, Taiwan from €354! 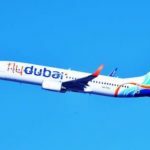 UAE government-owned low-cost carrier Flydubai with its HQ in Dubai International Airport has released new attractive promotion offer in 2019. If you are planning to use service of this carrier you can now easily save additional 10% of all flights and all destinations. Dicount appies to Economy as well as Business class tickets. Simply enter below Flydubai promotion code 2019 and proceed to next step. Your flight will be automatically discounted. Note that the voucher works off base fare and does not discount any additional service. Flydubai is offering its service from Europan cities such as from Helsinki, Vienna, Prague. Bratislava, Sofia, Bucharest, Catania, Skopje. Sarajevo or Krakov to destinations in the Middle East, Asia or Africa via main hub in Dubai. Flydubai promotion code is available till 11th of February. Discount is valid for all flights to all destinations in travel period till 31st of July 2019. There is no further restriction of this Flydubai promotion code so you can enjoy this special offer also during peak season over summer holidays or Christmas. Note that this promo deal is available only when making online booking directly with the airline. You need to manually search for the routing you like. Currently plenty of travel options are available in said travel period..
Booking sample of this latest Flydubai promotion code 2019 – 10% discount all flights! In this case you would fly from Serbia to Nepal on 3rd of June. Your return flight from Asia back to Europe would be then on 16th of June 2019. You would easily save €23 off standard fare just by joining their OPEN programme.